Every minute, nearly eight Americans get bitten by a dog, according to the Centers for Disease Control. That’s about 4.5 million people a year. One of every five people bitten by a dog requires medical attention — 885,000 people. In fact, in 2006, more than 31,000 people underwent reconstructive surgery as result of being bitten by dogs in the United States. In 2010, 34 people died from dog bites. Nobody wants to believe their family pet could harm another person. Some people believe that banning certain breeds will get rid of the problem. The fact is, any dog that is put into a situation that it perceives to be threatening will try to protect itself. When Joey and I were new to each other and I was trying to give Joey a different set of social experiences than he appeared to have had in his past life, I unknowingly put him and two children at high risk of getting bitten. We had come out of Three Dog Bakery and walked a few steps toward the public walkway. A woman and her two children approached on the sidewalk and stopped to admire Joey. They stood, a wall of legs in front of Joey. Wary of strangers, he backed up until his retreat was blocked by the plate glass window of the shop. One of the children bent down and reached out to pet him. He barked loudly, startling the child, who backed up, and snapped at the air between them. No one was hurt. I realized that I had not responsibly protected Joey because I had allowed him to get cornered. I also realized that I hadn’t responsibly protected the children by not telling them up front that Joey was afraid of children and they couldn’t pet him. According to the Insurance Information Institute, dog bites cost insurers $412 million in 2009. Insurance payouts have risen more than 27% since 2003. Over the past 15 years, more than half the states have passed laws with stiff penalties for the owners of dogs that cause serious injury or death. A 1991 Denver County study of dog bite data showed that dogs that bite are 6.2 times more likely to be male than female; 2.6 times more likely to be intact rather than neutered; and 2.8 times more likely to be chained up than unchained. Don’t bring a dog into your household without carefully considering the best fit for your family. Children are at most risk of getting bitten. Dogs that have a history of aggression are not a good fit for a household with children. Spay or neuter your dog. This helps reduce aggressive behavior. neutered dogs are three times less likely to bite. Teach children how to respond to dogs. They shouldn’t touch an unfamiliar dog without the owner’s permission. They should never run from a dog or scream; they should be taught to stand still. If knocked over by a dog, they should curl into a ball and remain motionless. They should be taught not to stare a dog in the eye, or disturb a dog that is sleeping, eating or caring for puppies. Socialize your dog so it feels more comfortable around strangers and other animals. Be observant to signs that your dog is uncomfortable or feeling threatened or aggressive. Avoid putting the dog into situations that make it uncomfortable or fearful. Dogs vary greatly in how sensitive they are to feeling threatened. Get to know your dog so you can prevent situations before they turn dangerous. Train your dog. Teaching a dog basic commands like “sit,” “stay,” “no,” and come help dogs understand what is expected of them. Teaching a dog a command like “sit for petting” in which the dog is asked to sit and then fed treats while someone pets it can help reduce fear and anxiety when someone approaches and wants to make contact with the dog. Walk your dog to keep it healthy and mentally stimulated. Exercise helps an animal reduce stress just as it does for people. Walking also helps stimulate a dog’s mind. Bored dogs tend to get into trouble. In the United States, a dog owner is usually legally liable for paying full compensation to a dog bite victim. 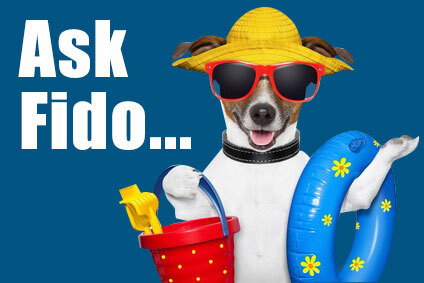 If the dog’s owner has homeowner’s or renter’s insurance, the pay out usually comes from the insurance company. The important concept to take away here is that if you own the dog, you are responsible. End of discussion; no mitigating circumstances considered — unless the bite victim was trespassing or provoking the dog. Don’t try to yank yourself away or pull away. This makes the dog hold on tighter. Try to find a stick that you can put into the dog’s mouth. This will make the dog feel gagged and he may open his mouth or back away. If the dog is a pet and the bite doesn’t appear to be deep or serious, wash the wound with mild soap and clean water. This helps get rid of the bacteria on the skin near the wound and in the dog’s saliva. Rinse the bite with antiseptic lotion. Apply an antibiotic cream to the bite and cover it with a bandage. If the dog is strange or a stray; if you have diabetes, HIV or AIDS; if you have had recent surgery or an organ transplant; if you are older than 50; if you have liver problems; if your spleen has been removed; or if the bite is deep, gaping or serious, you should see a doctor. If the dog’s owner is near by, ask if the dog has had a rabies shot and get the name and phone number of the dog’s vet. Get the owner’s address and phone number. If the dog owner is insured, get the name of the insurance company, the location of the office and the phone number. Do NOT accept money, discuss responsibility, payment or compensation; do not set up an appointment; do not write a letter or memo; do not allow yourself to be tape recorded or photographed.